Tickets on sale NOW! At Tap & Growler. 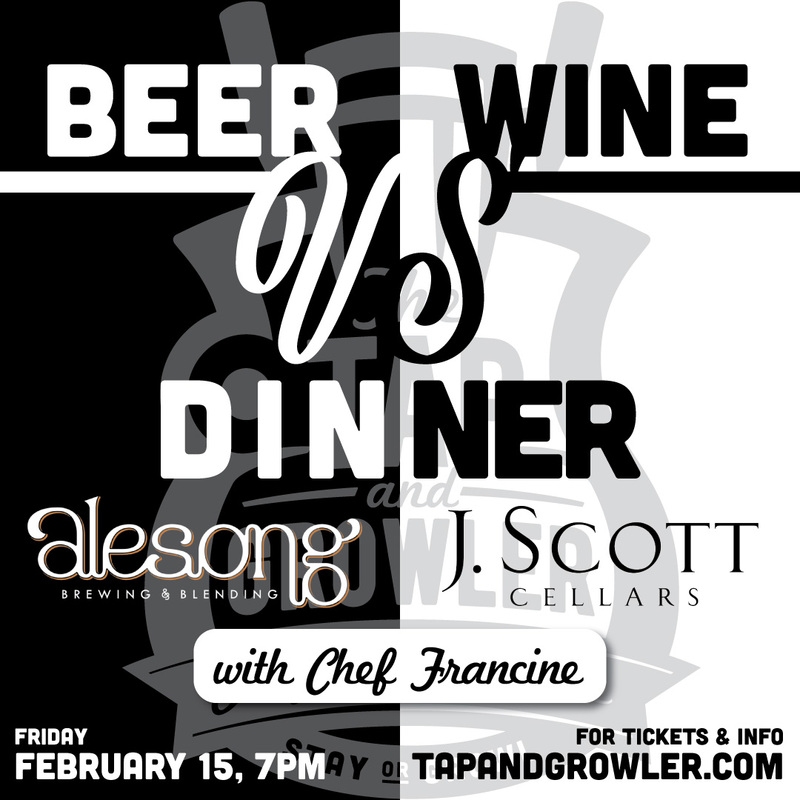 Only 20 seats are available for this fantastic 4 course meal prepared by Chef Francine and featuring Alesong & J. Scott. Each course will be paired with a beer from Alesong Brewing and a wine from J. Scott Winery. Check back for more details on beer and wine selections. Tickets are $45 each, plus 18% gratuity (added at the time of purchase).